Innocent is the Head of Digital Finance at the Financial Sector Deepening Trust, an organisation that drives financial inclusion in Tanzania. His mandate is to advocate the use of Digital means to better the lives of poor men and women. In his previous role, Innocent was the M-Pesa Product Manager for Vodacom in South Africa, responsible for managing the product delivery with a responsibility to deliver m-pesa product, re-launch, roadmap and strategy for South Africa. 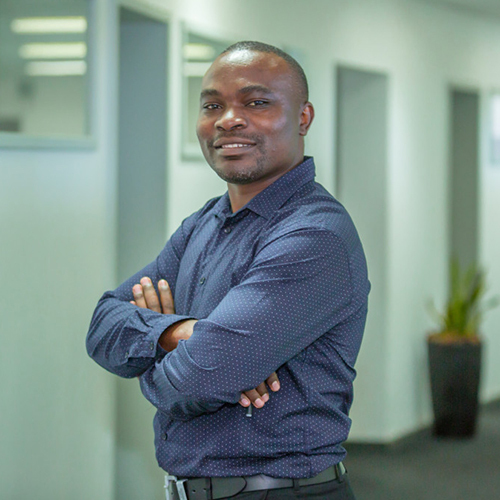 In Tanzania he managed the product support call agent at the call centre, through his passion for career growth, determination and commitment, Innocent advanced his career to the Head of M-Commerce product development position at Vodacom. Innocent has an undergraduate degree in Commerce and Management from the University of Dar es salaam and a general MBA from East & Southern Africa Management Institute (ESAMI). He has been attending a series of executive programs from Harvard Business School and Harvard Kennedy School of Financial inclusion.